Ike has been working with Aactive Personnel Services since 2000 giving him over 15 years of experience providing staffing services and focus on short term labour. His deep understanding of warehouse staffing, specifically lumping/swamping services, allow us to offer competitive pricing. Ike’s experience with clients and diverse staff allows him to act efficiently, effectively and tactfully when offering staffing solutions. 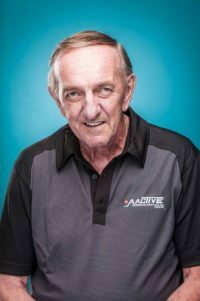 Ike’s favourite part about working with Aactive is the constant challenge of matching personnel to customer’s needs for temporary labour and staffing. Aactive Personnel Services is Winnipeg’s Temporary Labour Placement Specialists and has been servicing the business community throughout the province of Manitoba since 1973. Looking for more staffing options? Check out our industry partner TLC.